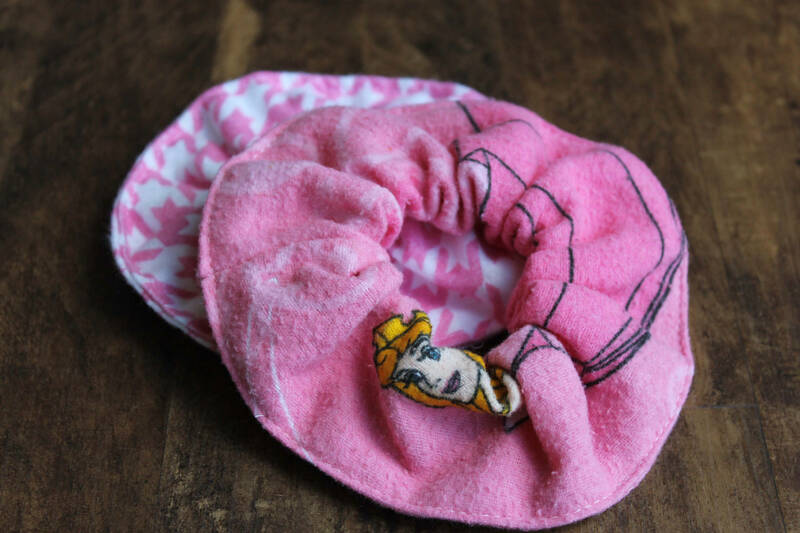 Show off your love of the Disney classic Sleeping Beauty with this fun hair scrunchy set. This set include (2) coordinating scrunchies. 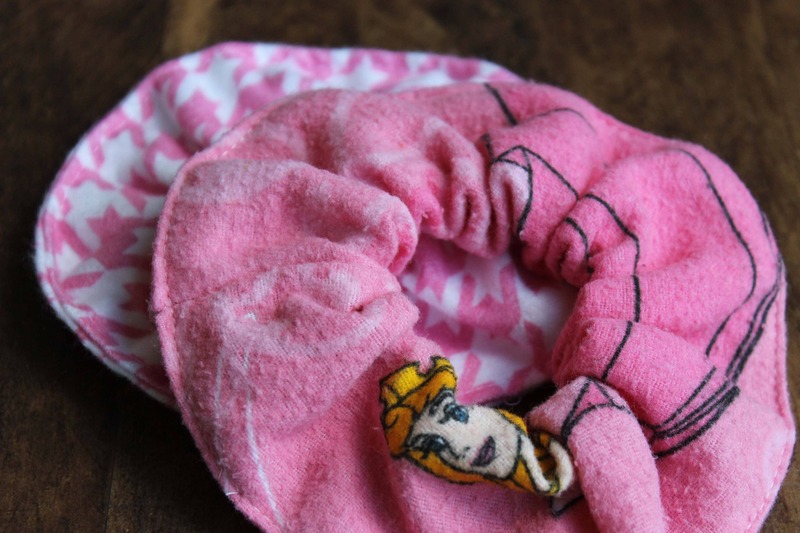 One is pink flannel and features Aurora. The other is a coordinating white and pink hound tooth flannel.